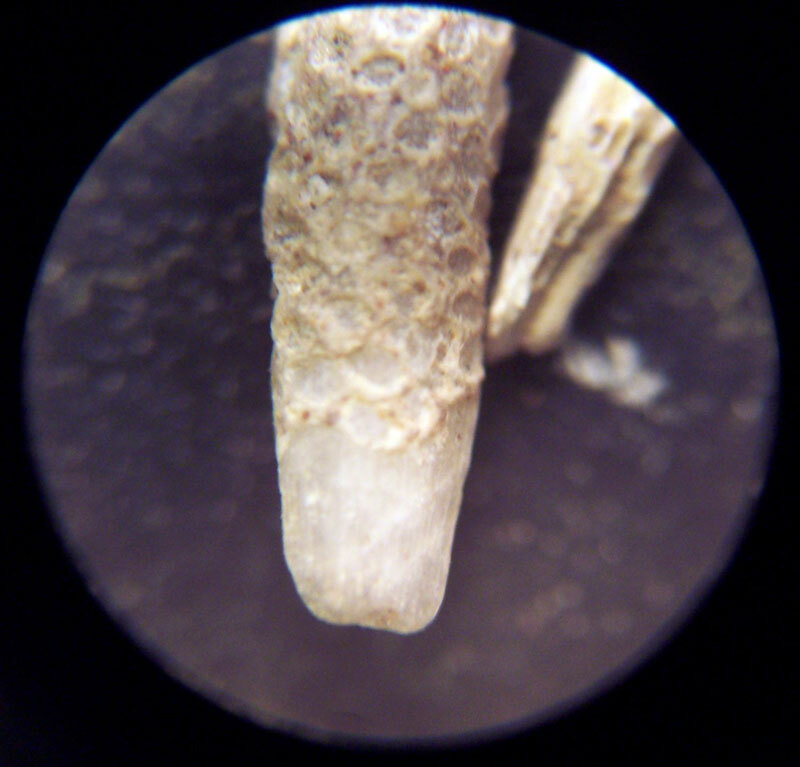 Dentalina sp. 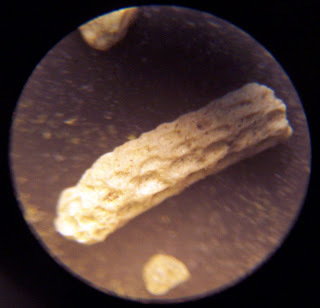 foraminifera found at the Chesapeake and Delaware Canal dredgings of the Mount Laurel Formation. Thanks to Shamalama for the material. These fossils are of creatures that existed in Cretaceous Period. 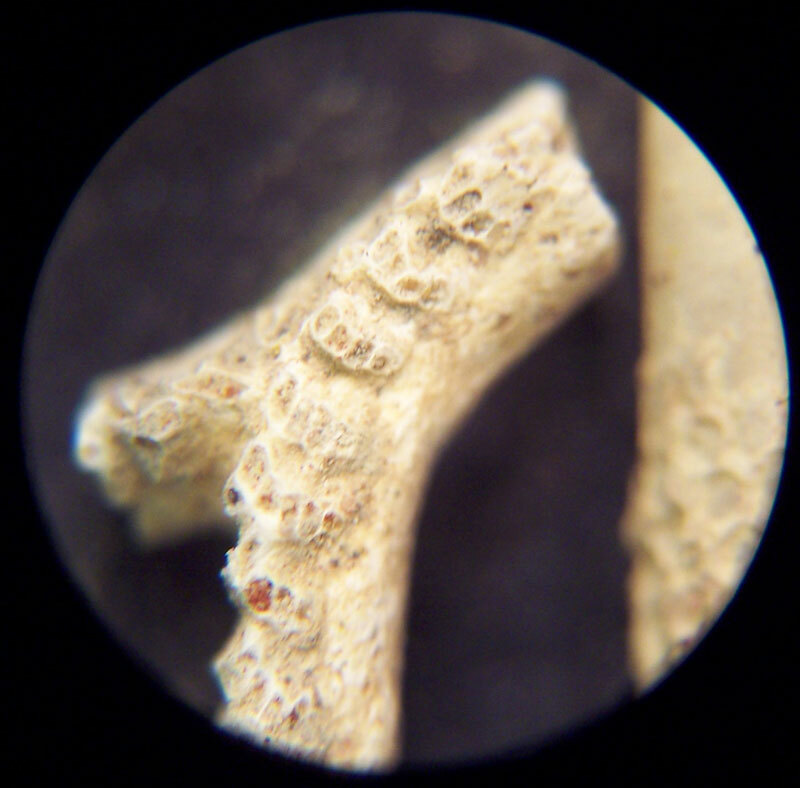 This is some sort of bryozoan or coral growth on an enchinoid spine. Here are some more coral or bryozoan pieces.